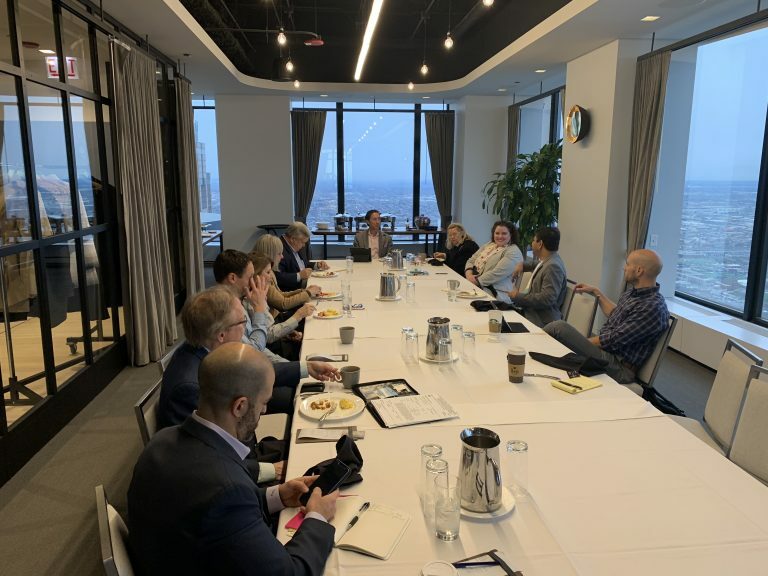 Every month, Tenant Advisory Group hosts an Executives Breakfast to provide an opportunity for Chicago business leaders to build new, meaningful connections and discuss topics relevant to running a business. Bill Himmelstein, Founder & CEO, Tenant Advisory Group – Prioritize what’s important, and schedule everything you can. Delegate what you’re not good at to focus on what you enjoy most and are best at. Vickie Rock, Principal & CS/RPR, Victoria Legal + Corporate Services – Schedule what’s important. Utilize time blocking. Trisha Daho, Founder & CEO, Empowered – 1. Be fully engaged in whatever you are doing at the moment. 2. Only check your email 3x a day max. 3. Time blocking- get 3 blocks of 50 minutes a day to work on things that matter most. Create absolute boundaries and walls around those increments. Pradeep Kandimalder- Focus on a mission and vision for a day. Group things to organize your email. Carl Utz, Director of Sales & Sr. Account Manager, Andromeda Technology – You can’t do everything yourself. You need to delegate to people who can do the job better. Brian Black, Relationship Development Manager, Tenant Advisory Group – Everyone is busy but are we getting things done? Time batching has been huge. Be intentional on how you want to feel at the end of the day. Dr. Ari Levy, Founder & CEO, Shift – What are the metrics that matter? Personally and professionally. How are you spending your energy? Are you showing up for what matters? That which you measure improves. Your mind and body seeks to create patterns. Be ruthless about your weaknesses and be open to asking for help. Learn how to embed the right habits that get the right results. Craig Evans, President, Precision Healthcare Consulting- Know when to get away from work to recharge your batteries. Greg Topel, CBO, Tanvas – Every moment is precious. In the first stages of being an entrepreneur I was a servant to everyone. Ask yourself: Is this something I can do later — do I need to do it right now? Fold that into priorities of what absolutely needs to get done today. Cathy Jama, Executive Vice President, Tenant Advisory Group – You need me time. For me, Friday is admin day. It’s important to look ahead and plan ahead, so I minimize how often I look at emails. Terry Hush, CEO, Roji Health Intelligence- I’m a huge delegator. I used to do it all myself and then had an awakening when writing the company blog. I went from scheduling days and goals on spreadsheets and became the email deletion queen. I cultivate leadership rather than managing. Paul Detlefs, President and EOS Implementer, The Prestwick Group, Ltd. – I do not allow technology in sessions. You have to control the technology rather than it controlling you. Also, have a quarterly or at least annual planning pulse- for your business, departments and personally for your long term vision and plans. Weekly planning discipline is critical. Get an assistant so you can elevate yourself to your unique abilities that you enjoy doing and are good at. 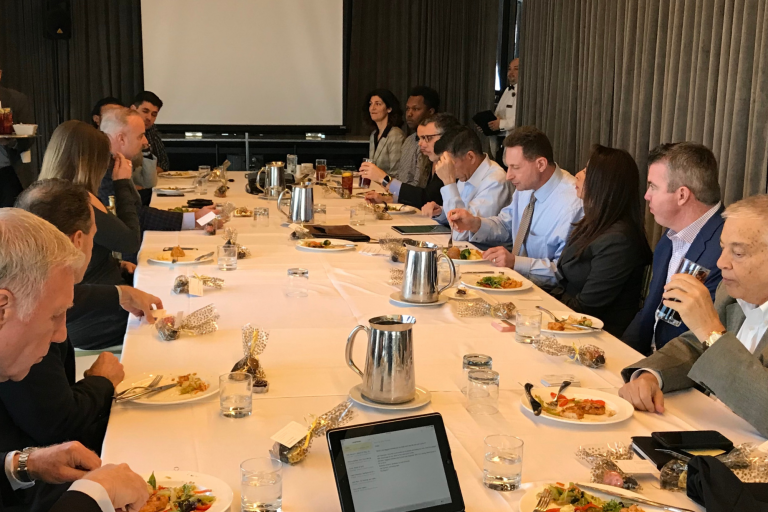 Paul Detlefs, President and EOS Implementer, The Prestwick Group, Ltd.
Every month, Tenant Advisory Group hosts an Executives Luncheon to provide an opportunity for Chicago business leaders to build new, meaningful connections and discuss topics relevant to running a business. Jeff Asperger, Partner, Meltzer Purtill & Stelle LLC: I gave too much credence to people and was being too nice. Don’t let people take advantage of you. Be slow to hire and quick to fire. Be polite and respectful and compliment when appropriate, including adversaries. Bill Bast, Principal, Thornton Tomasetti: The biggest mistake I made was to start my own business. I did it too young and went home to PA to do it. Don’t give 100% at the office and have nothing left to give others like your loved ones. Stefanie Jenkins, Director of BD, Vault Innovation: I have the tendency to over promise. No matter what you’re doing in family, business or life, figure out what you bring to the table and be that person. Your mission is to create and connect so that other people are empowered. Lee Travers, CEO, iammoney: Not being present. Tim Roach, Co-Founder & CEO, Lendr: You have to understand how to fail fast, recover and understand the process of how to recover. Define what success is to you. Knowledge is power and so is having core values as a company. Live them. Understand vision. I utilize 5 year plans. Not 10 year plans. Profitability is key. Muhammed Azfar, Managing Partner, Auctus Group INC: Hire people with values that align with yours. Be slow and methodical about hiring and quick to fire. Hire for value. Values train for skill and strategies train for choices. Tim Schumm, Founder & President, Lucas James Talent Partners: I went from leading a team of 10 to leading a team of 70. I brought the same approach to all the team members and when I individualized my approach, I had much better results. Always put yourself in other people’s shoes. Kate Winston, Agency Lead, Strategy & Growth, envisionit: I said no to a big ad agency and was the right hand person for owner of the agency. I was told “Sometimes a C+ is just fine.”- that offended me, but she was right. Know when it needs to be an A and know when it can be a C.
Erryn Cobb, Founder & CEO, Fetch IMC: Don’t wear too many hats. Invest in key team member’s professional development sooner. I followed my dad’s example: There’s no gray between right and wrong. Set a standard to live by. Bernie Dyme, President and CEO, Perspectives LTD: I didn’t allow myself to make mistakes. It’s ok to make mistakes as long as you learn from them. Gratitude is very important. Teach your children gratitude. Daniel Porcaro, Managing Partner & Co-Founder, Porcaro Stolarek Mete Partner, LLC: I left a lot on the table when I sold my first large business. I could have grown it larger myself. 25% of customers provide 90% of revenue. Last 50% of clients provides less than 4% of revenue. Fire bottom 50% of clients. With extra time, over serve the top 50% of your clients. Then you care about A clients and A prospects. Jonathan Rothstein, Senior Vice President, MB Financial Bank: Delegating needs to happen and you need to focus more on your team and sense of urgency. Be slow to promote and manage expectations of employees. Life work balance. Never ask anybody to do something you wouldn’t or couldn’t do yourself. Everyday try and do a kind gesture and leave the world a better place. Paola Meinzer, Partner, Manning Silverman & Co CPA: Working in corporate America I did not keep a balance in my life. I gave all my time to the company. Be yourself. Don’t try and be anyone else. Embrace who you are. Jerry Doorhy, Partner, J.J. Doorhy & Associates: My biggest mistake was waiting too long before going on my own. You’re never too important to mop the floor. You get more bees with honey. Morrie Elstein, President, MorrieCONNECT: Start understanding how valuable the people you know are. Pay it forward. You never know what’s going to come back. The negotiation process can be intimidating, but it doesn’t have to be if you go in with the right attitude and information. Whether you’re looking to increase your salary, restructure part of your lease or save money on that new car, follow the tips below to get what you want and feel good doing it. Know the market. When negotiating, specificity is key. Hone in on exactly what you want, and then provide reasons why you should receive it. For instance, when negotiating a higher salary, look up standard industry salaries for your position and take note of how your salary reflects that. Hard statistics strengthen why you deserve additional compensation. From there, put together a comprehensive list of your accomplishments, any projects you’ve managed and any initiatives you’ve been part of within your company, as well as any relevant outside qualifications you have. Use your hard work as leverage. A negotiation is never a time to sell yourself short. Don’t be afraid of no. Ideally in your negotiating process you’ll get exactly what you walked in for, but the best negotiators also already have alternatives in mind. It’s essential for you to go into your meeting under the impression that you will receive your requests, but also find a few alternatives to your original offer that you would be happy with. For example, if you’re buying a home, but the realtor is not willing to budge on price, try asking for some repairs or upgrades to be covered instead. No matter what you’re negotiating, having a counter offer prepared will help ensure a successful negotiation. 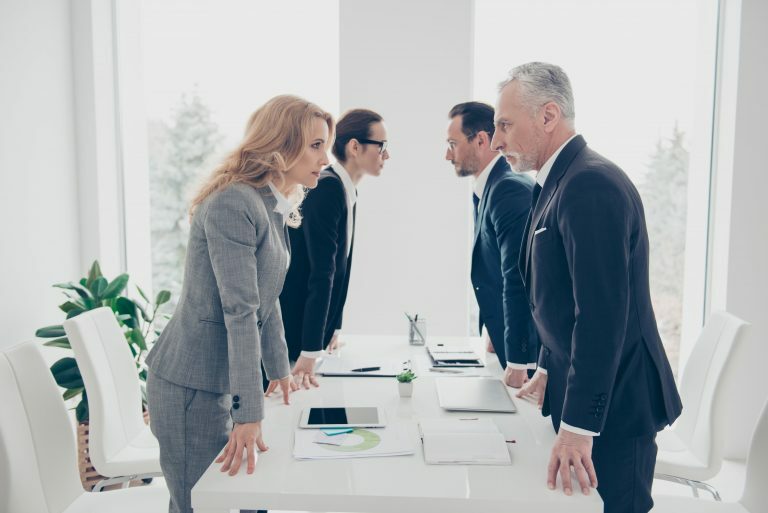 If your boss doesn’t want to raise your salary and the conversation is stagnating because neither party will budge, you can offer up other ways in which you can be compensated. Try requesting benefits such as extra PTO, a gym membership or an end of year bonus. When you look at your total benefits and re-frame your requests from that perspective, your odds of a successful negotiation are much higher. Listen. When the person you’re negotiating with is speaking, listen carefully. By asking open-ended questions and utilizing active listening, you’re setting the stage for an actual discussion instead of just a bargaining match. The more time you take to listen rather than just waiting to reply, you can get a better understanding of where the other party is coming from, and you can adjust your negotiating tactics accordingly. The best way to successfully negotiate is to be mindful throughout the entire process – from the time you take to properly research before the meeting to the meeting itself. With the proper information and a good attitude, you’ll be able to take on any negotiation confidently and successfully.